Note that there is a list of festivals under UNICA Patronage to be found on the official website: here. No limit on length, theme or genre. ​Each author receives a written report from the jury. There is a range of fees - see their website. 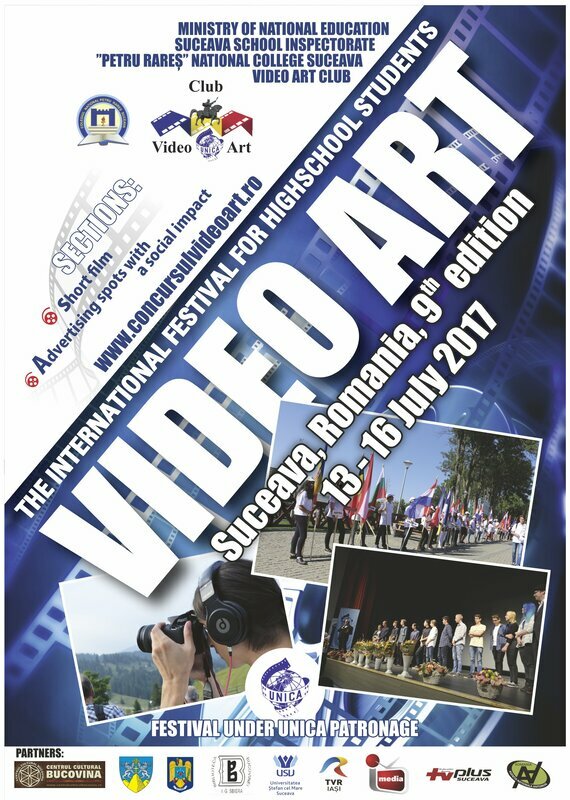 The festival for animators and young people.. Length: up to 30 minutes, any theme, any genre. Best non-commercial films in the world. Free entry. Any theme. Up to 12 minutes. Up to two entries per person. Check the rules. Entry by wetransfer.com is preferred. Other formats accepted. French-language films, subtitles in another language accepted. For complete rules and submit your films, visit the website. Encourages creative activity, fosters pride in the history of your country, promotes ecological knowledge, common human values: love, mercy, friendliness, peacemaking, tolerance, a sense of beauty and harmony. ​Films up to 15m, fee 500 rubles. In Russian or with Russian subtitles. Maximum length 60 seconds. No fee. No limit on number of entries. 1,000 Euros top prize. You can directly upload your films. If you send more than one file per film (for instance: DVD VIDEO_TS folder) compress them into a ZIP file and then upload. Use your user names and passwords you used in past years which have been transferred into the new system with the complete data base. For further information and help please contact Zvonimir: crominute@gmail.com. Video Arts is for film makers between 15 and 20 years old. It includes workshops, a day of shooting a day of editing and awards by an international jury. One section is for public service adverts up to 1 minute long. Another section is for films between 10 and 15 minutes. A competitive festival open for fiction films, documentaries and cartoons on the theme of the festival made by individual authors or by authors' collectives - nonprofessionals. Films up to 20 minutes. Films produced after January 1, 2016. All films must be subtitled in English and in Italian. See the full regulations on their website. Submit films through agencies like FilmFreeway - see website. They ask for films from high school students between the ages of 14 and 20. There are no restrictions but they prefer films less than 20 minutes long. No fees. Event has workshops and lots of fun! The festival allows direct entries by individuals and other festivals. Online entry. No limits on genre and no fee. 60 minutes maximum. Films up to 15 minutes. Overseas entries 15 US dollars. DVD and BluRay only. The festival languages are Slovak and English. Entry fee 5 Euros. Each film in a language other than Slovak or Czech must have a commentary in English but also a separate annotation of approximately 60 words. Entry costs 20 euros or 25 CHF. Films up to 25 minutes. Amateur films up to 30 minutes and not older than 5 years. Accepts mp4 or 2mts on Stick. One entry per carrier system. Up to two entries per person. There is also a one-minute film section. Download the call for entries (in English) here. 15 Euro fee for foreign films. See rules in English as pdf here. Up to 30 minutes. Send synopsis in English. No fee. The 15th edition of the festival is assessed in three categories: up to 20 years old, film students, all other amateurs. By 30th October the pre-selection will be announced. A festival of amateur documentary film. Up to 15 minutes long. Films in DVD, MP$ or MPEG. English subtitles. This festival normally takes place every second year. Love a human means… to show fleeting moments, passing time, running thoughts; to give them their own life. To make them last. To sketch the picture of the human condition in spite of all things which separate or link people. To show, not only “here and now” but also “everywhere and always”, what is important, what will never end, who we were, are, and will be.